I dread writing this post. Why? 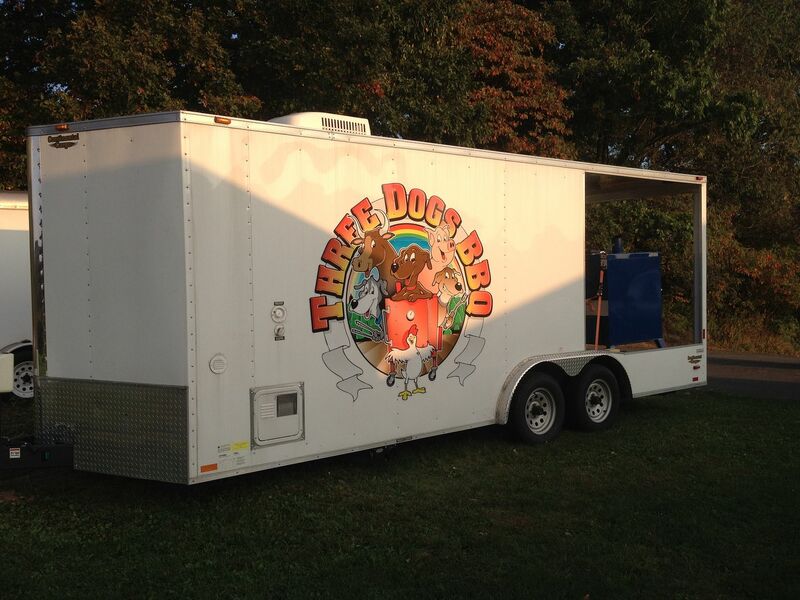 It was the last competition of 2014 for Three Dogs BBQ. The long six to seven month wait until our next time on the BBQ trail. But, before we close the book on 2014, lets have a look at Three Dogs BBQ's last road trip of the year. 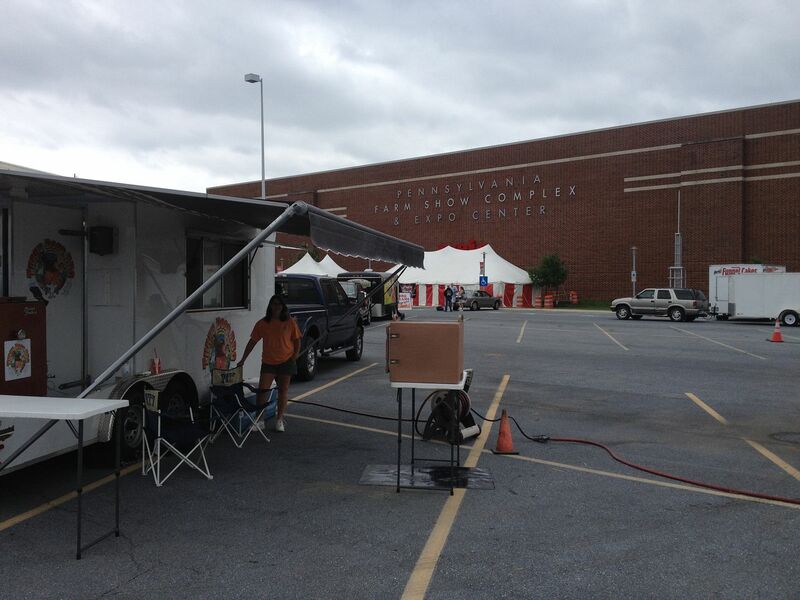 This time, we loaded up the trailer and headed to Harrisburg, PA for the Keystone Classic BBQ State Championship. 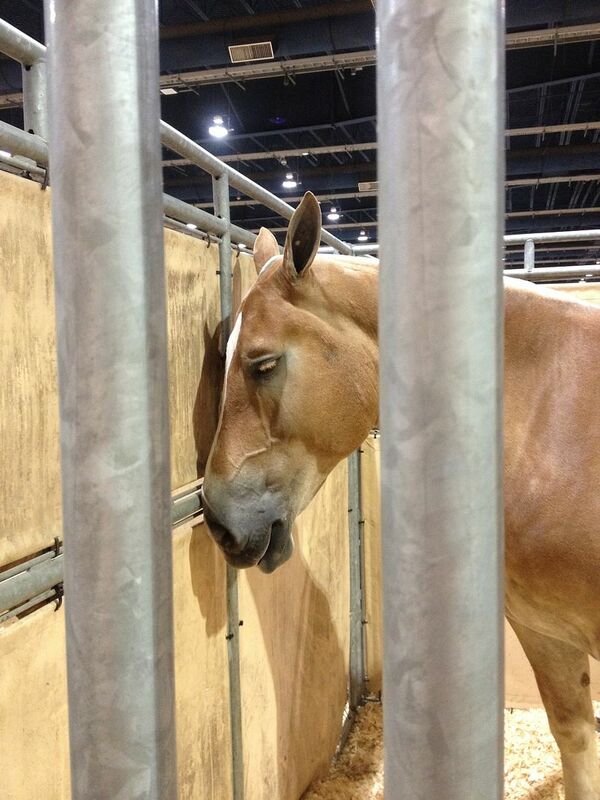 This is one of our favorite competitions all year long. Why? 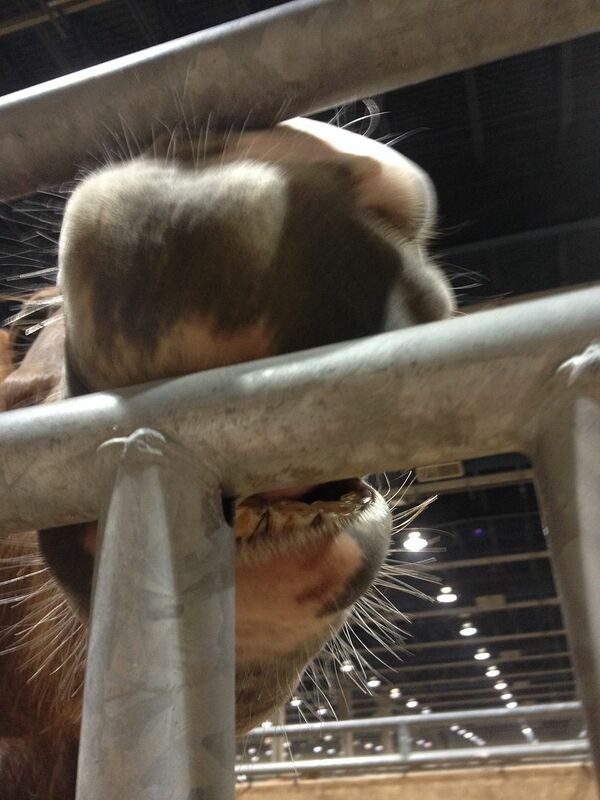 Farm show food and milkshakes and plenty of horses. The competition is held in conjunction with the states annual livestock show, billed as the largest east of the Mississippi. 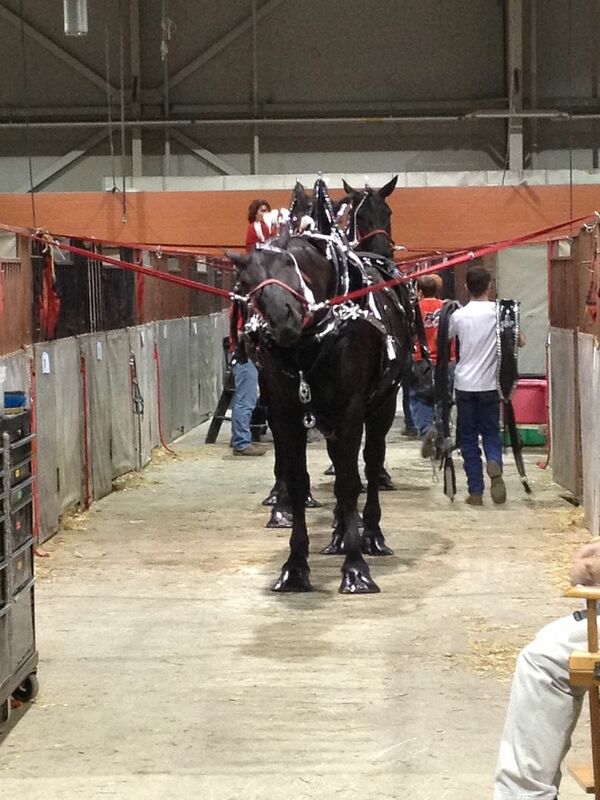 They have show horses that get all dressed up and pull wagons. 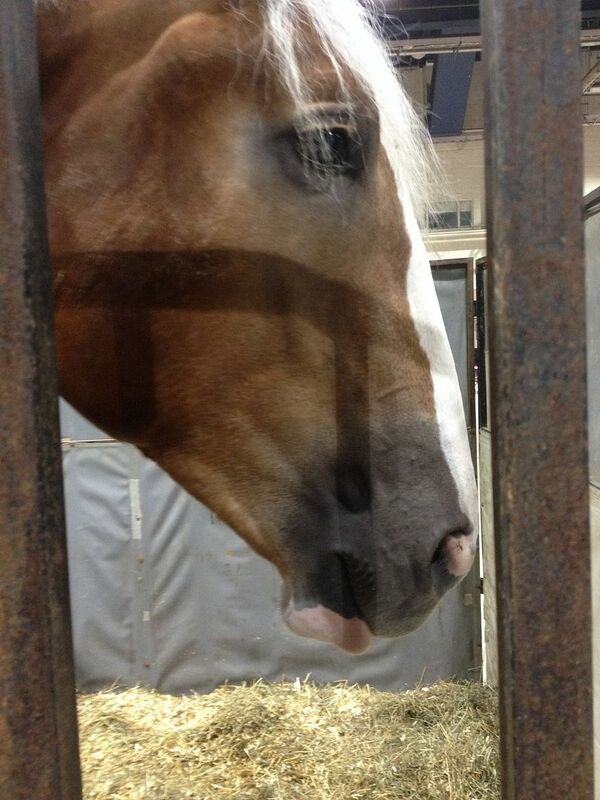 Or, they have big Belgian Draft horses that take part in the horse powered version of a tractor pull. I named this one Pouty. 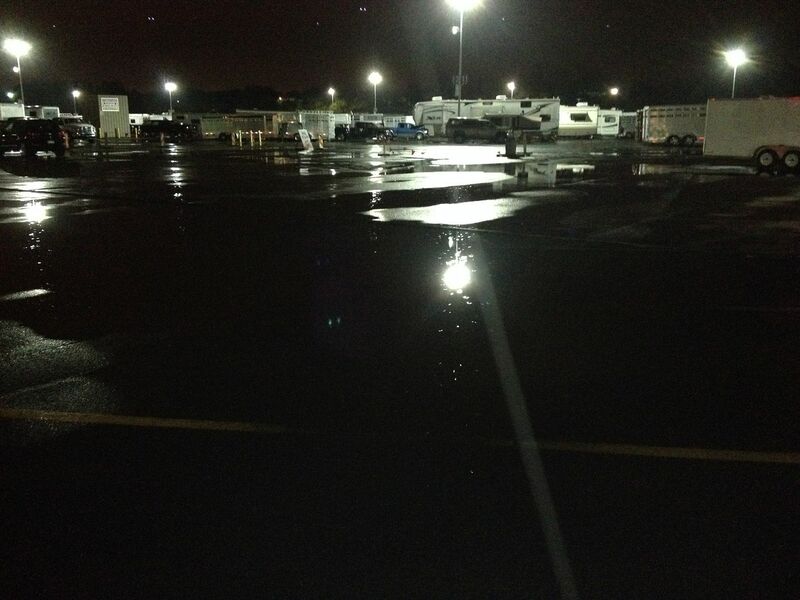 Some can even be caught dreaming of BBQ at 5 am. Amazing how they can sleep standing up. Don't you wish you could do that? So, lets quit horsing around and review the weekend. Shall we? First, we felt like we were back in New York. Why? Rain. Lots. Twelve hours worth. Enough to create Lake Three Dogs BBQ, right next to our site. But, the rain moved and the sun came out from behind the clouds in time for turn ins at noon. And here were the boxes. Our chicken box came through as always. This entry scored us a 170.2628, good enough for ninth place out of 53 teams. 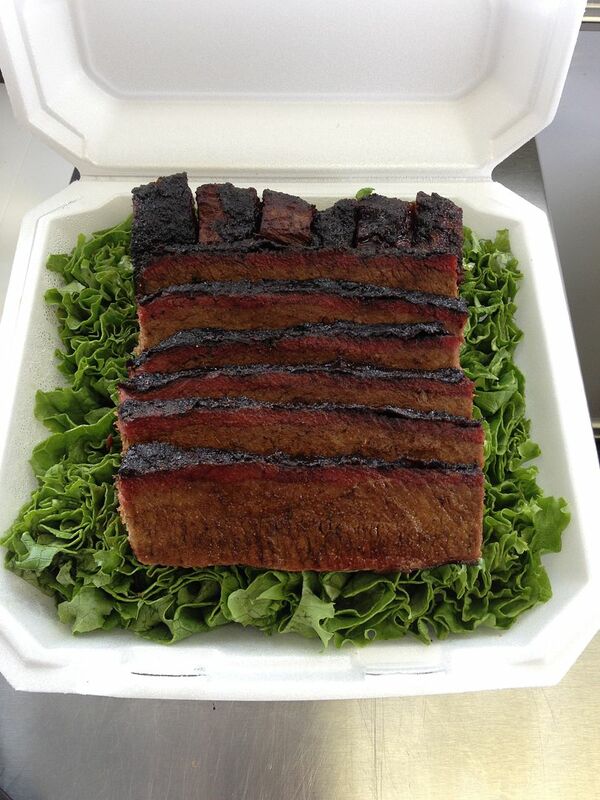 Our rib box fell into the tasted better than it looked category. 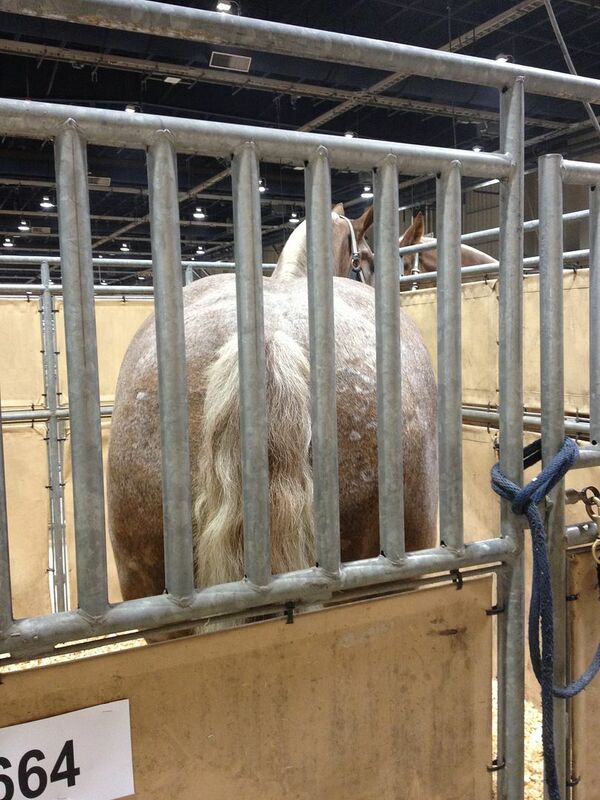 This box scored us a 162.2856, good for 22nd place. In our opinion, it was our best tasting, most tender rib effort of the year. 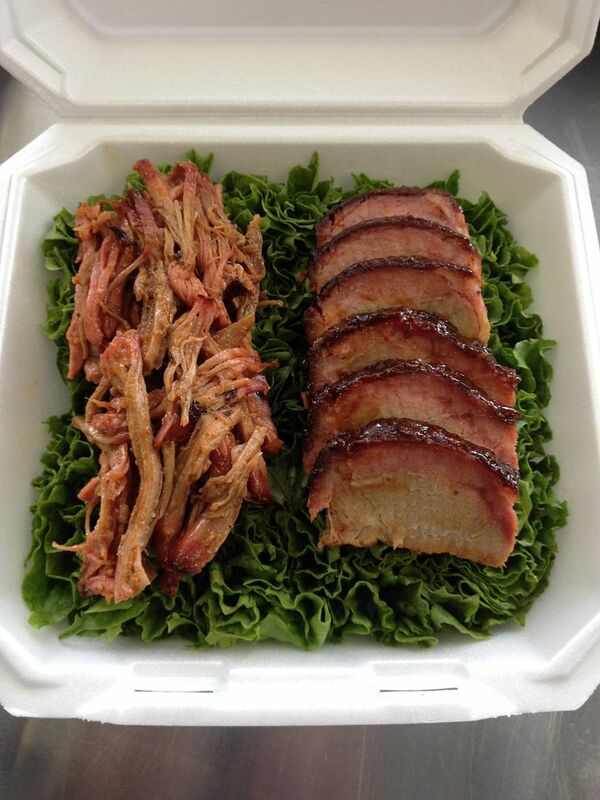 Our pork box was a milestone for Three Dogs BBQ. This was the first box that Hope ever built. 888899 in appearance proves she did a good job. We scored 165.7028, good enough for 15th place. Not out best effort of the year and the scores reflected our feelings. 151.3944 was the score and a 39th place. Our brisket was slightly over done. A comment card or two would have been nice, but the scores were not low enough to warrant comments. This will be a focal point for practice over the year. 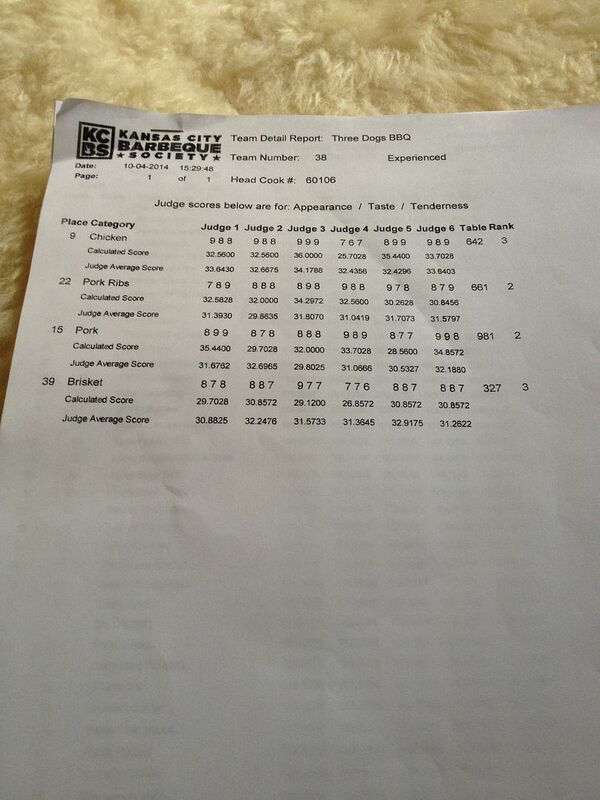 Overall, our total score was 649.6456, 20th out of 53. This was our second best point total of the year. So, ending the year on a high note, check! 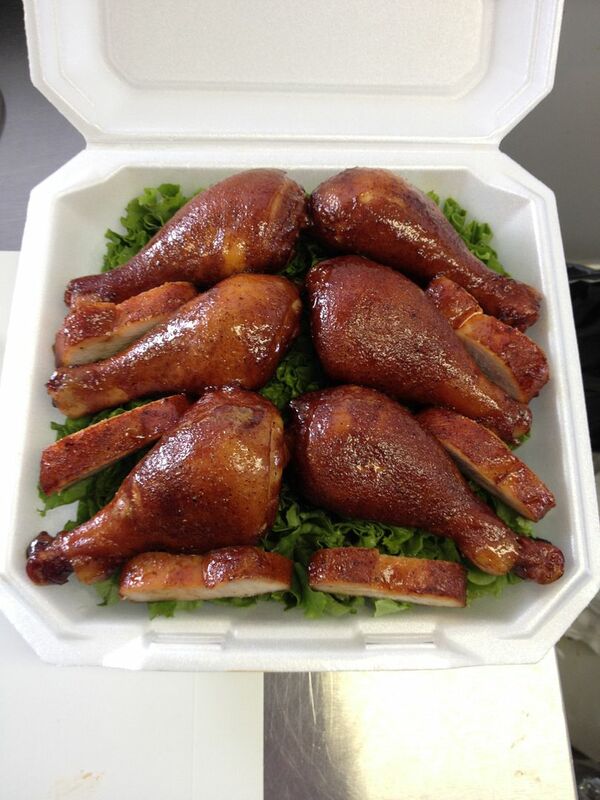 We would like to thank the contest organizers and the KCBS reps for running a contest without any problems. Congrats go out to our Grand Champion Pig Pen BBQ and our Reserve Grand Champion Big Ugly's BBQ. Big Ugly's also won the MABA Cup for 2014, so an extra shout out as well. We would also like to thank those who have supported and helped us over the years and in 2014 as well. It wouldn't be fun and we couldn't do it without you. So, before we put an "end" to the 2014 season, just a reminder to everyone to check back for more recipes and BBQ adventures in the off season. Any suggestions or ideas for recipes are greatly appreciated. You hit a nerve when you mentioned comment card. It has been an on going debate on the comment cards. Everybody has an opinion. My certification class instructed to fill out a card for 5 points and under. Some people write comment cards for all entries. Depending on the reps comment cards are encouraged or discouraged. Some judges have no credentials or expertise to offer advise. I know you have shook your head reading some comments. We have a standard comment card that you can just check categories like overdone, burnt, etc.with a section for personal comments. You yourself said your brisket was overdone. Would a comment card stating this help? I am only bringing up comment cards because here on the West Coast we have been discussing this issue. We have a rib only contest this weekend. 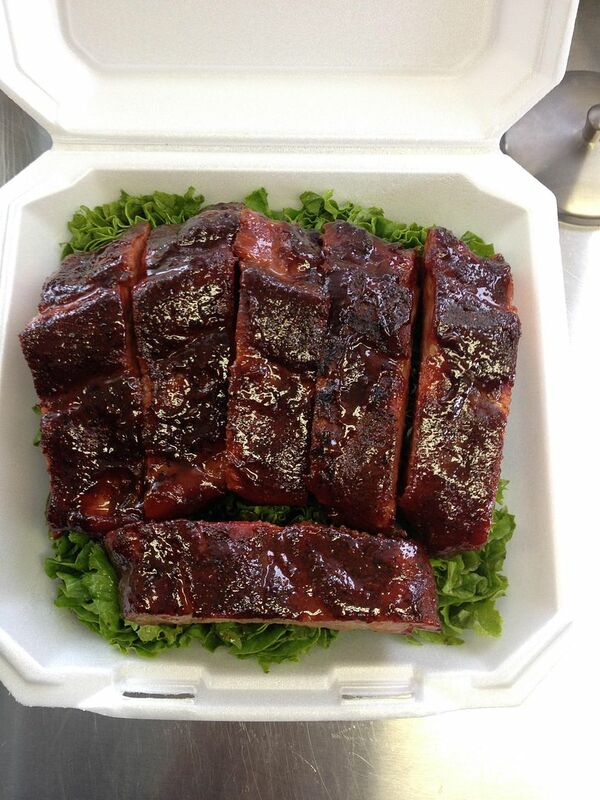 Our next KCBS is not to February. The bbq will not be idle though. We have received good comments this year Chilebrown, both for good and bad entries. I feel the cards are laid out in a confusing manner. I don't have one in front of me. But, when I get the chance, I will lay out some commentary. great work, Bill. I've really enjoyed following your competition experiences throughout the year. I find that whole world fascinating as there is nothing like it in Australia.